The Valiant still impressed, despite losing to the Korean squad. The Los Angeles Valiant stormed out of the gates in Overwatch League, going 2-0 in the opening week and garnering praise as the West’s best team. Two losses in week two may curb some of the enthusiasm, but their match against London Spitfire today wasn’t shameful, despite Valiant ending on the losing side of a 3-2 scoreline. 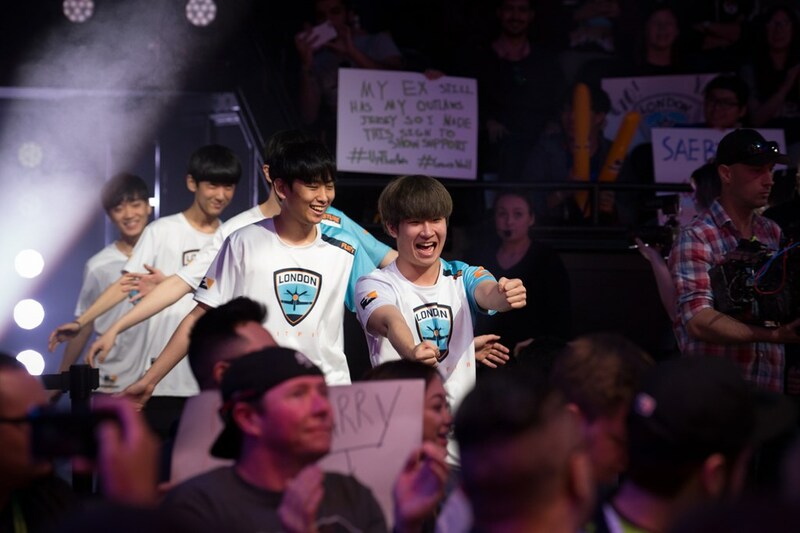 While Valiant may be called the best Western team, the London Spitfire are one of the odds-on favorites to win the entire Overwatch League, featuring a lineup chock full of superstar talent at every position, combining the two best teams from Apex’s last season. Yet the Valiant went toe-to-toe with them, taking Spitfire to a final map and nearly toppling an all-Korean lineup for the first time in Overwatch League. The London Spitfire jumped out to a 2-0 lead, taking Dorado and Horizon back-to-back. The Valiant opened Dorado with their trademark dive composition rolling through Spitfire’s cheeky Torbjorn on the opening point. But in the midsection, after Spitfire swapped to their own dive, Valiant stalled, failing to capture the second point after two clutch kills on Valiant’s DPS by Choi “BDosin” Seung-tae shut down Valiant’s last effort. The Valiant’s ability to get better value from their ultimates proved the difference, like this dragonblade from Park “Profit” Joon-yeong. Horizon showed just how close these two teams were, with both teams narrowly capping the final point with no time left on the clock. But Spitfire showed they could make better on-the-fly adjustments in the overtime round, completely countering Valiant’s tank-heavy offense before out-rotating Valiant with their own beefy attack. But even after losing such a hard fought map, and despite falling 0-2 in the series, the Valiant fought back. On Oasis, Valiant’s young DPS star Brady “Agilities” Girardi showcased all of the tools in his toolbox, providing a better Pharah on Gardens than Kim “Rascal” Dong-jun before dominating University with Roadhog—including an incredible clutch hook in Spitfire’s final attack, pulling a Graviton Surge-wielding Zarya into the middle pit, preventing him from executing a game-ending combo with D.Va’s Self-Destruct. Valiant subbed out Agilities for Ted “Silkthread” Wang on Eichenwalde, but they used their momentum well, scoring an impressive map finish in overtime before completely stifling Spitfire’s offense. Valiant’s perfectly timed dives with Winston, D.Va, and Tracer kept Kim “Birdring” Ji-hyuk’s McCree on a respawn timer, deleting him three times in a single fight, nullifying Mercy’s Valkyrie. But Birdring would have his revenge. On Lijiang Tower, Spitfire dominated Control Center thanks to Profit’s Zarya, but it was Birdring who stole the show on Garden. Birdring’s opening Widowmaker pick—and what seemed like a dozen more—gave Spitfire an easy 99 percent on the control point and eventual win. The result pushes Spitfire to 4-0, tied at the top of the standings with fellow Korean lineup Seoul Dynasty. The Valiant sit at 2-2, in the middle of the pack, after losses to New York Excelsior and Spitfire today. But the way they lost this game against Spitfire—pushing Korea’s most talented team to the very end—shows that while Korean lineups may be undefeated against Western teams so far, it likely won’t stay that way in the long Overwatch League season, and the Valiant still look like West’s best. OWL caster Christopher “MonteCristo” Mykles certainly still thinks so.